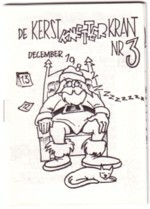 For many years I made a zeroxed fanzine about the Christmas cards and gifts that I got that year. My brother was an important contributor to the first issues of this zine. He even made several zines all by himself, which were used as a bonus zine in my zine. This was in the late seventies and early eighties; my brother stopped making zines after I stopped forcing him to make them. 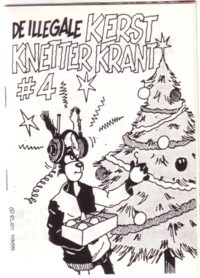 I just tried to find copies of these X-mas zines;I must have made at least fifteen issues, but I am afraid much is lost. But in today’s story you can see the covers of some of my brother’s zines. This was all done just for the fun of it, and the circulation of these zerox zines must have been somewhat between 3 and 15 copies. While going to the boxes, where I hoped to find copies of the X-mas zines, I did find many other zines that I did over the years. I haven’t thought of these in ages, and some I would have never have remembered if I didn’t saw them today. More about the zines later. 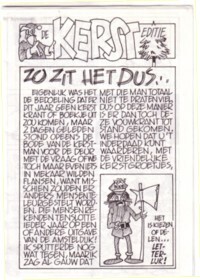 The nicest surprise that I re-discovered was a fake micro record (3 inch) that my brother once made for me as a Sinterklaas gift. I was an Adam Ant fan back then. I began to loose interest when the Prince Charming LP came out. But I still love his early records. 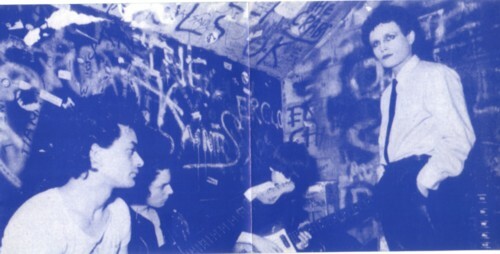 The demo recordings of Adam & the Ants circulated for many years on cassette. I have spend more money on buying these tapes than on all the official released vinyl, and still I only had xth generation copies and missed some of the demos. Fortunately somebody with more access to this material made a CD with nine of the most interesting demo’s in good sound quality, plus some live versions of other unreleased songs. Most of these songs ended up on vinyl later in a remake version, but these raw original demo’s are often far better. I am not as nostalgic as I may seem sometimes, but I cannot deny that cassette tapes and zeroxes played an important role in my life. Here is the demo of Zerox , one of the first 45’s of Adam & the Ants. 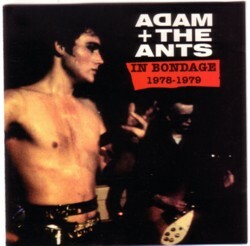 And there will be much more Adam & the Ants in future episodes of this Soundtrack!